PARIS: A baby Bornean orangutan has been born in a downtown Paris zoo - the first to be born there since 2005. The zoo of the Jardin des Plantes says that Java, a female, who was born on October 17. The zoo says in a video posted on Twitter that Java's mum, 30-year-old Theodora, is taking care of her third daughter with "much gentleness." Java is the fifth orangutan at the Jardin des Plantes. 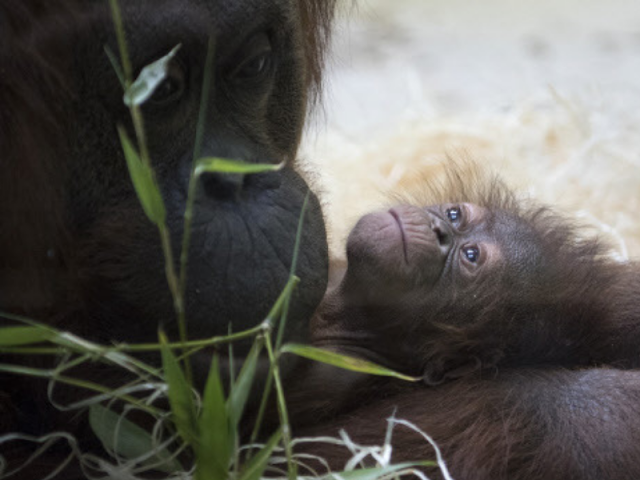 Her father, Banggi, was born in 2006 in Spain and Java is his first baby. The zoo said orangutans have experienced sharp population declines in recent years and lost 80 per cent of their habitat.